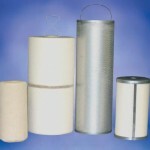 Filter Elements | De-Mar Inc.
Midwest’s largest supplier of Fluitek filter elements. Distributor of Fluitek brand filter elements for over 25 years! 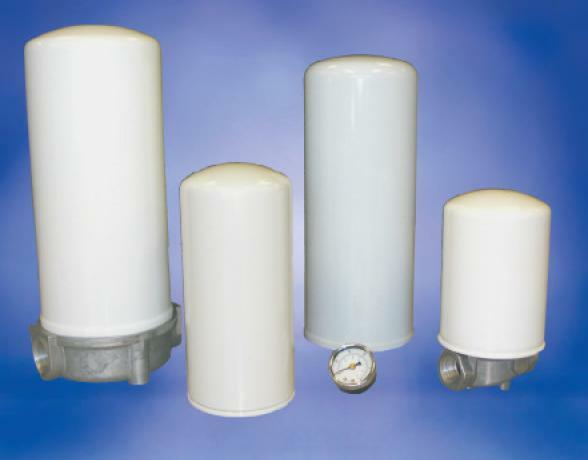 Fluitek offers the most complete line of industrial filtration elements available today. 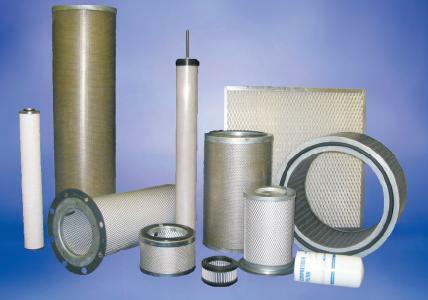 The product line covers over 200,00 different elements used for air, fuel, oil, and water applications. Ability to cross any manufacturer’s filter part number or description. End user, OEM, and reseller pricing available. 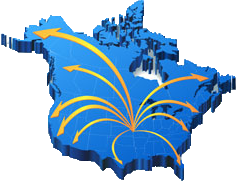 We have the ability to save your company money and cut delivery time! Designed for the removal of atmospheric dust or particulate in the air intake system of compressors, blowers, vacuum pumps, and engines. Media available in cellulose, woven fabric, or felted media with either sewn, molded, or metal end configurations. 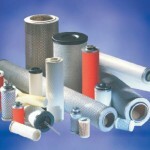 Over 100 different types of media to provide intake filter solutions with an efficiency range of 0.3 to 750 micron. 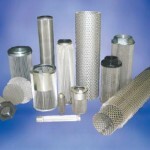 High temperature elements available for applications up to 1000 ̊F. Versatile manufacturing process enables us to offer these filters in thousands of different sizes and media configurations. 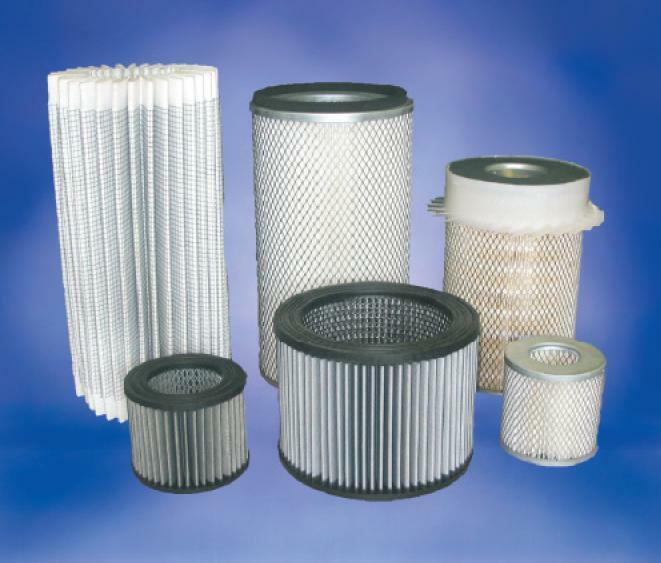 Filters for the removal of hard, coarse contaminants from applications including hydraulic oil, lube oil, cutting oil, fuel, and solvents. Carbon steel, stainless steel, and titanium construction available. Ability to fabricate custom end caps and pleat packs. Any style, shape, or size can be custom manufactured. Micron ratings from 5 to 750 micron. All welded and crimped end configurations eliminate the need for adhesives and allow the metal elements to be used in high temperature and aggressive chemical applications. Please call for information, prices, or delivery! Used to remove solid particulate, water, oil mist, and oil/water vapors from compressed air systems. 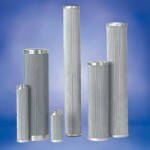 Offered in coalescer, particulate, and carbon absorption filters. Designed to remove submicron contaminants. Available in 0.01 to 100 micron. Fluitek coalescing filters offer a specially formulated borosilicate glass media to achieve coalescing of less than 0.003 ppm oil carryover. 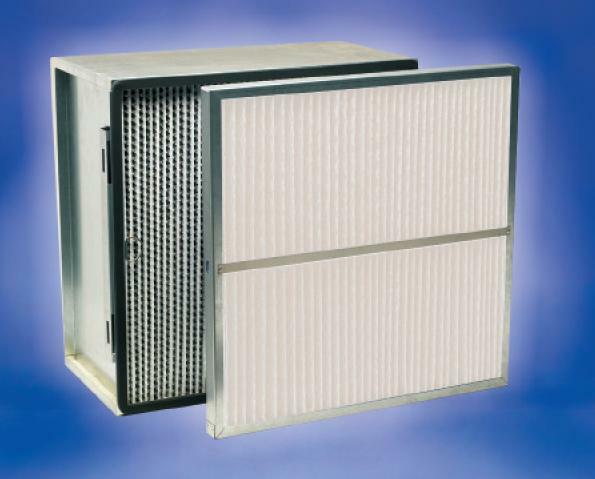 Over 20,000 filters available in this product line! Call for additional product information! Designed for the separation and removal of water from gasoline, aviation fuel, kerosene, and diesel fuel. Made from a combination of pleated and wrapped layers of fiberglass media, Fluitek’s coalescer elements are capable of high flow rates and water removal down to 5 ppm. 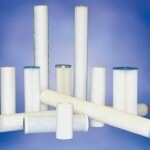 Filtration efficiencies ranging from 0.5 to 25 micron. The accompanying separator element is offered as Teflon coated, fully synthetic, and Silicon-treated cellulose. Fluitek coalescer and separator elements meet commercial, military, and American Petroleum Institute (API) specifications. Competitive prices and quick delivery! Fluitek offers a complete line of compressor filters including air intake, lube oil, and air/oil separators. Designed to maintain clean air, to clean oil, and to retain the oil in the compressor after the compression cycle. Designed to meet the compressor OEM specifications to assure protection of vital components on all major brands of air compressors. Filters available for all designs of compressors including rotary vane, rotary screw, natural gas, and ammonia refrigeration compressors. Over 100 different brands of compressors interchanged and over 10,000 high quality filters available! Call with OEM part number for competitive price quote! Elements used in low flow filtration systems on applications with soft contaminants, sludge, slime, or waxes. 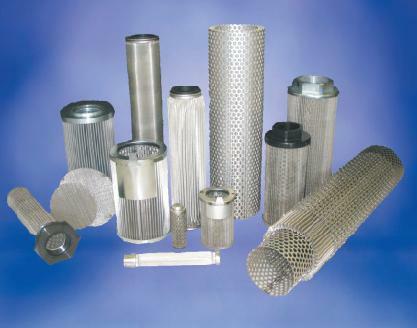 Depth elements are used to clean or recycle hydraulic oil, compressor oil, gear oil, or quench oil. Several different media options are available including cellulose and synthetic fiber blended media. 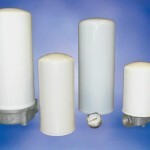 Fluitek depth filters are available in an efficiency range from 1 to 150 micron and with a temperature rating up to 350 ̊F. 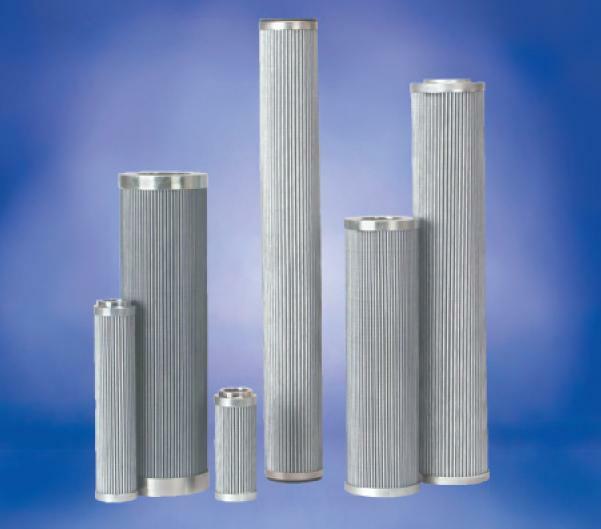 The prime advantages of depth filtration elements are high dirt holding capacity, long filtration cycles, and high retention of small particulate in polishing applications. 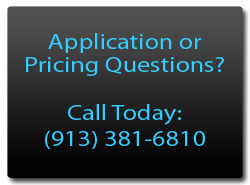 Contact De-Mar & Associates with your filter application questions! 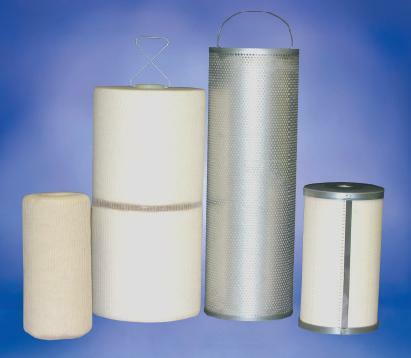 Cartridge filters available in: wound, pleated, melt blown, and resin bounded elements. 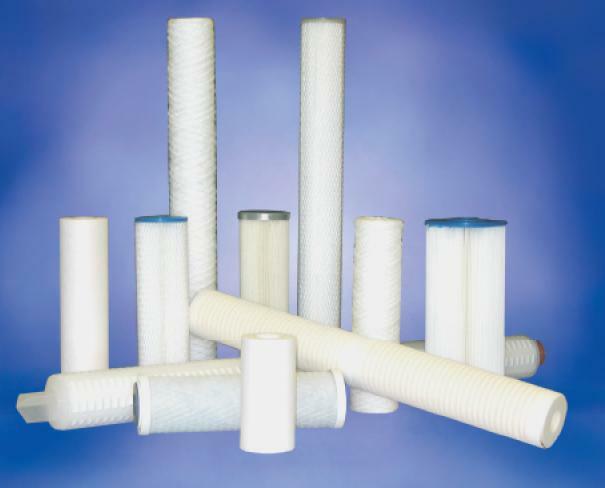 Fluitek cartridge filters are used in RO system pre-filters, beverage, brewery, ultra pure water, chemical, ink, paint, and sterile vent air filtration. Media supplied as: cellulose, Polypropylene, FDA Polypropylene, cotton, bleached cotton, FDA bleached cotton, Rayon, Nylon, Polyester, acrylic, fiberglass, anti-microbial FDA Polypropylene. Cores available in: Polypropylene, tinned steel, 304 stainless steel, 316 stainless steel, Polyester, and Nylon. Wide range of media allows Fluitek to offer filtration solutions for various applications with an efficiency range of 0.1 to 400 micron. Elements are available with all the popular end cap configurations to allow Fluitek cartridges to fit in any existing housings without modifications. 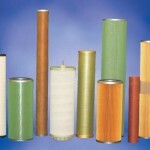 Spun wound filters stock in Overland Park, KS! Used for the removal of contaminants from hydraulic oils, coolants, lube oils, fuels, water, and reservoir tank breathers. Fluitek spin-on elements contain surface or depth loading media such as cellulose, microglass, water absorbing, or stainless steel mesh. Fluitek also offers spin-on filter heads avaliable in single and multiple element design. They are offered with NPT, SAE, and BSP port options ranging from ¼” to 1 ⅞”. Fluitek heads are available with gauge and indicator options to let the operator know when the element needs to be changed. 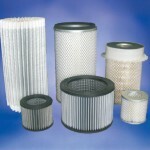 Many sizes and styles of spin-on filters stock at the factory! Fluitek hydraulic elements are used for the removal of fine and granular contaminants in critical filtration applications. Applications include servo valve protection, engine test stands, power units, turbine oil filtration, and paper machine lube systems. 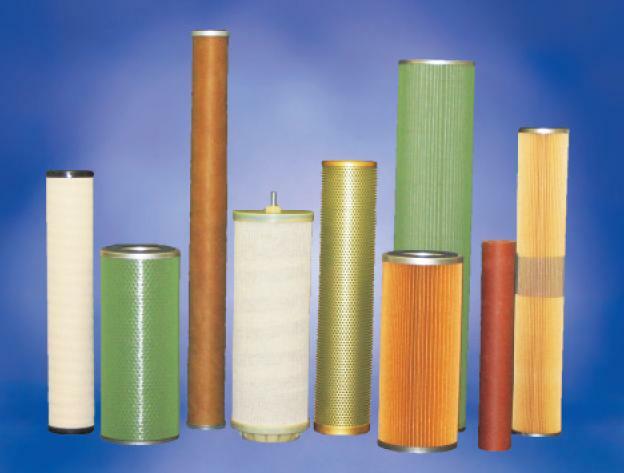 Hydraulic filters are available in: cellulose, microglass, stainless steel, and sintered stainless steel media. Specially engineered microglass media was designed to meet beta efficiency results based on ISO4572 and ISO16889 testing standards. With a Beta 200 or higher efficiency at micron ratings of 1 to 40 micron, Fluitek elements offer high performance filtration results that will meet or exceed competitors’ specifications for efficiency, dirt holding capacity, and overall filtration life. Commonly used on intake and exhaust applications. Primarily used on: compressor intakes, grease catchers, spark arrestors, HVAC filtration, odor removal, and the final filtration of dust collection systems. 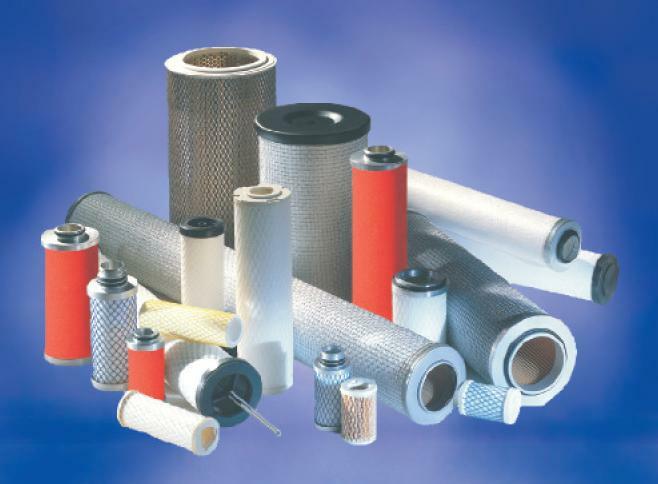 Product line offered in several media types including stainless steel mesh, pleated cellulose, aluminum mesh, Polyester felt, HEPA, carbon bed, and fiberglass. 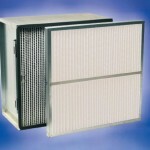 Panel filter media available with an efficiency range of 0.3 to 500 micron. Fluitek also offers high temperature and all-metal panel filters for applications that require high temperature media or cleanable panels. 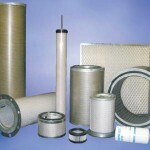 Call for a filter quote today!